This winter, Chanel stands out the models with cate ye and square shapes. Indise its catalogue, it is posible to find Chanel 4236H or Chanel 5393. These sunglasses are characterize not only because of their shapes but also due to the different decorative elements that they have. Such as double bridges o pearls. 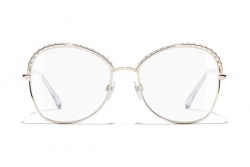 Regarding Chanel eyeglasses it is important to highlight the models that will stand out such as CH3372H or CH3374H. Combining metal and acetate we have models Chanel sunglasses as 5360Q, 5362Q, 5381, 5382, 5383. These glasses have a balanced design that combines dark acetate with metallic temples and degraded lenses. Also, models as 5340H are back, combining metal with pearls. 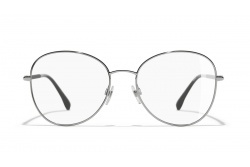 In fact, this classic piece of the brand that comes back to create original and elegant glasses. Models as 4219Q and 5210Q continue its classic line combining acetate with metal, including lambskin details in the temples. With no doubt, this winter the Italian brand offers a great variety of models to choose.